Sweet cuddly puppies are great for the whole family. They bring joy, companionship and can help teach responsibility to your children. Often families overlook the responsibilities that come with their new bundle of joy. Check out these 6 simple tips to introducing your new pooch to the entire family. Pick the best doghouse for your new puppy – https://www.mrmr.biz/choosing-the-right-doghouse-for-your-faithful-companion. Just make sure to choose wisely and think about how your tiny bundle will grow over time. It happens fast. Don’t give your puppy too much freedom around the house right away. This can lead to accidents and/or ruined furniture. Use baby gates to allow your puppy a dog-safe area to play and explore, and close all doors to rooms that are off limits. Tell your dog specifically what to do and reward him when he obeys. For example, say “sit” if you want puppy to stop barking and reward him with a treat instead of just saying “no.” It takes lots of practice to make perfect so be patient. Be consistent with discipline and rewards. Make sure your spouse, your kids and all those who live in your home know the rules, verbal commands, when to discipline and when it’s ok to give treats, etc. Group dog training is an excellent family event that can make the experience of having a puppy more enjoyable. Check your yard for plants that could be harmful to your new companion. Click here for a list of common toxic plants for dogs and cats – https://www.mrmr.biz/recognizing-toxic-and-useful-pest-repellent-plants-for-your-garden and share this information with everyone in the family. 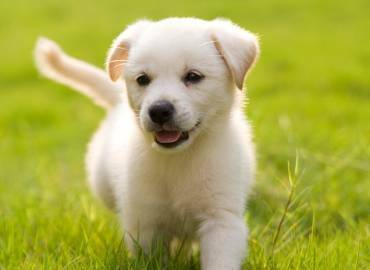 Know what pests can cause the new pup harm – https://www.mrmr.biz/mosquito-borne-illnesses-heartworm-and-atlanta-mosquito-control-facts. Mosquitoes can carry all types of diseases and illnesses, including transmission of heartworm. Keeping these pests away can make a huge difference in the health and safety of your new puppy, other pets and your family. More Than Ebola, Other Tropical Diseases Pose Growing Threat to U.S.